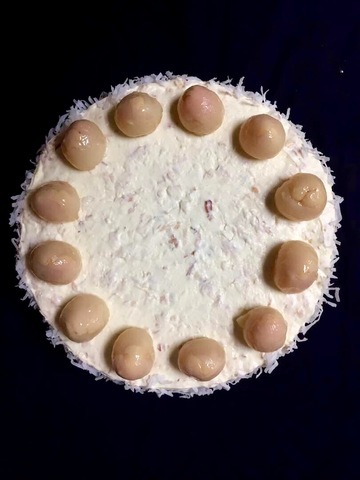 Note: Please allow 3 days' notice for this cake. A delectable combination of light and creamy, this cake is a delight and a firm favourite among lychee lovers. 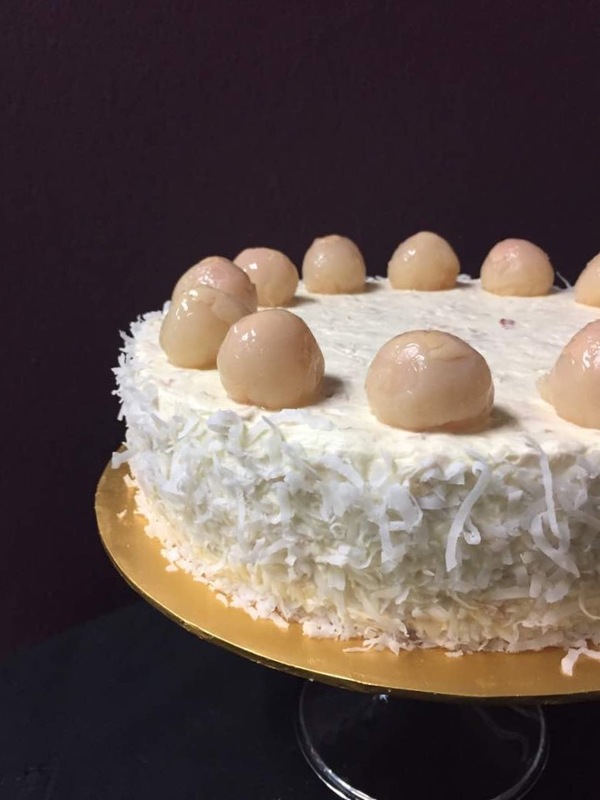 The coconut chiffon cake is brushed with lychee juice and generously covered with whipped lychee cream and garnished with more sweet lychees! Cake must be stored in an airtight container in the chiller away from direct sunlight. 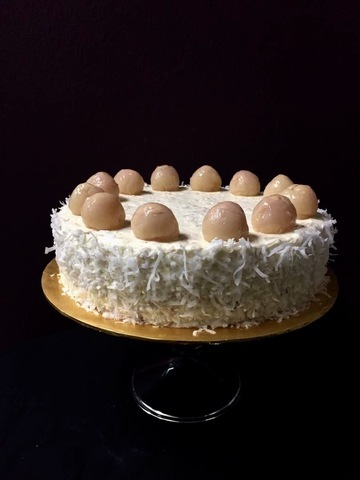 Coconut has a very short shelf life, we therefore recommend that the cake be consumed on the day of purchase.